EU foreign ministers expressed determination on Monday to throw the organization's weight behind Middle East peace moves and a possible international conference before the end of the year. They invited EU agencies to present proposals "including on economic incentives, without delay." 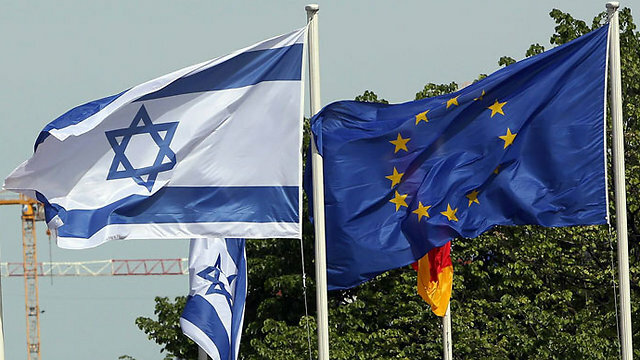 The statements about the EU package came following the European Union's Foreign Ministers Council's welcoming on Monday of the French initiative to renew negotiations between Israel and the Palestinians following deliberations in Luxembourg on the situation in the Middle East. "The Council welcomes the Joint Communiqué on the Middle East peace initiative adopted at the Ministerial meeting in Paris on 3 June 2016," the ministers said in a joint statement issued following their meeting in Brussels on Monday. "The Council reiterates its support for a just, sustainable and comprehensive resolution of the Israeli-Palestinian conflict, and peace and stability in the region."